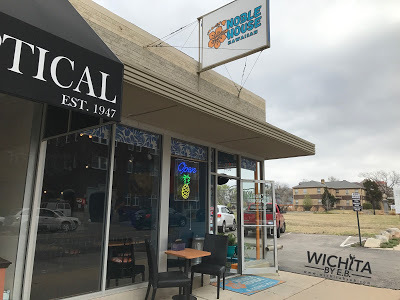 Noble House Hawaiian Review – Unique and Delicious Food in Wichita – Wichita By E.B. 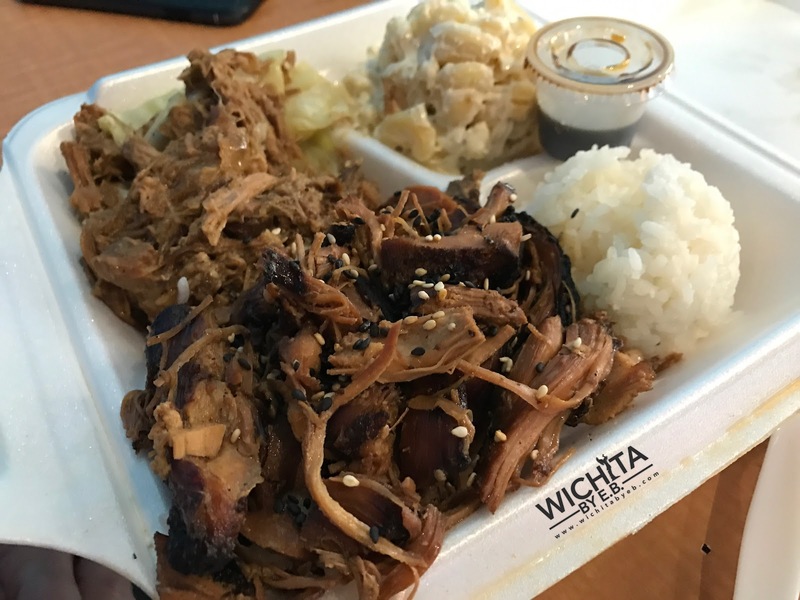 Less than a year ago, I wrote about a a food truck in town called Noble House Hawaiian Plate Lunch. My coworkers and I loved the food truck. 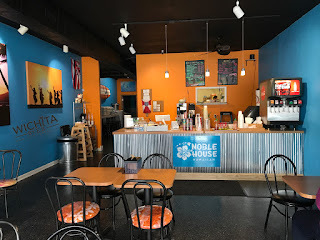 So much in fact that Noble House may have been the food truck I frequented the most. 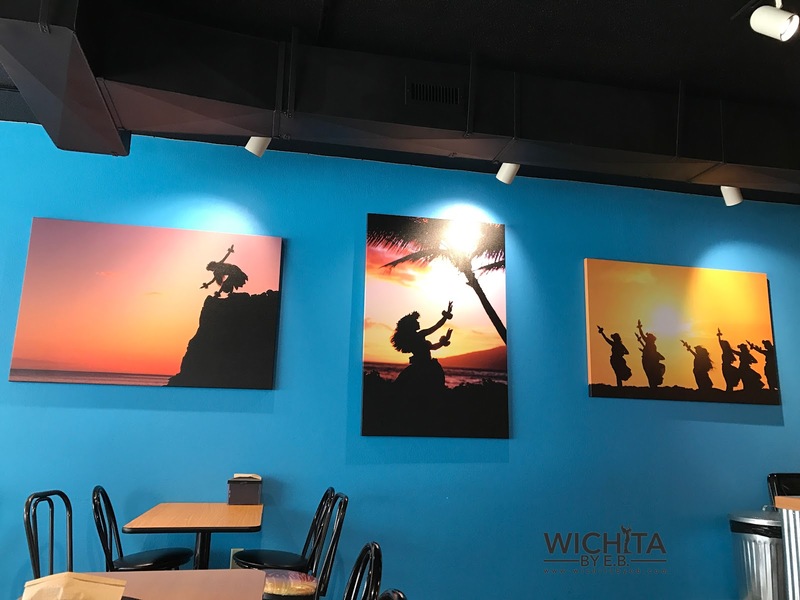 Fast forward to 2017 and Noble House Hawaiian now has a sit down restaurant. I no longer have to wait for decent weather to please my Noble House pregnancy cravings (Editor’s note: I’m not pregnant). 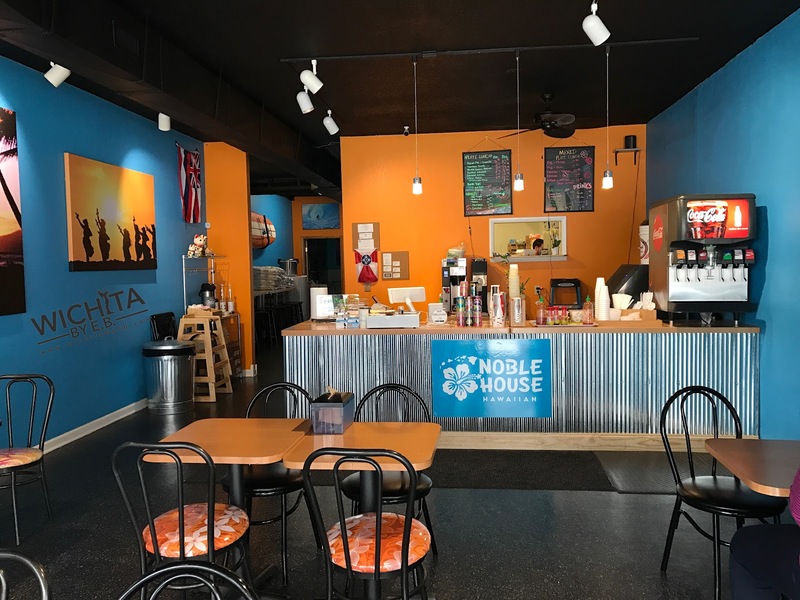 They are located inside the former short-lived Smarts Doughnut near Douglas and Hillside in College Hill. The moment you walk inside, you get the feel of Hawaii complete with the music. 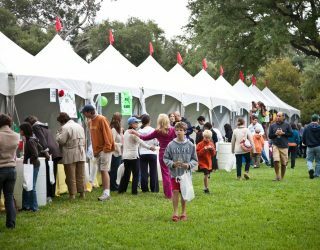 The only thing that would have made the experience better was if a greeter was at the entrance placing leis around people’s necks. The restaurant looks to seat around 32 people but on nice days, they have the ability to add a couple two tops outside. 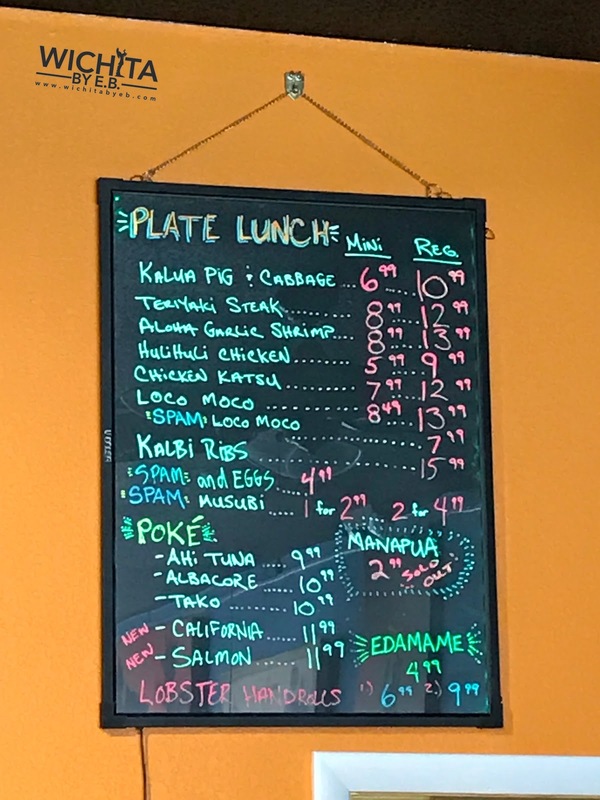 The menu is very simple. While it can be found online, here are some pictures that include the prices. Between my coworkers and I, we ordered the following items which came out very quickly. At first glance, the food portions were incredibly generous. Some people, when they look at the menu may get some price shock but there are some things to take into account. 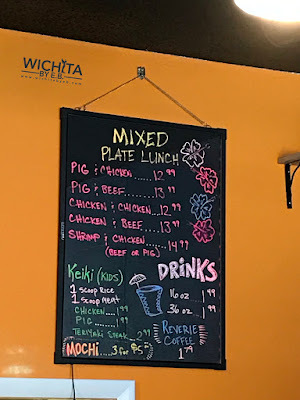 Quality fish isn’t cheap and Noble House will fill you up with excellent food. 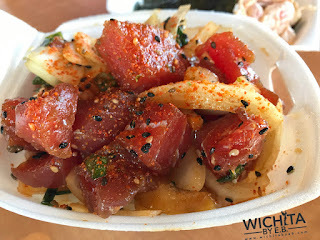 I was told the California Poke had really good flavor. 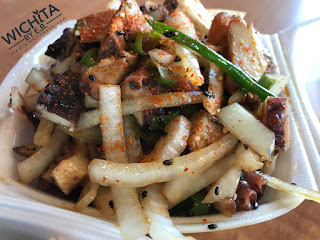 The onion and cucumber added a nice crunch to the crab and the spicy mayo was spicy enough to please any taste buds. The chicken and pork included in the plate lunches was really tender and simply amazing. You know the meat is good when it doesn’t need any sauces. It’s good to know when the work and effort a restaurant puts in reflects in the quality of the food. The shrimp in the place was awesome and something my coworker would order again. 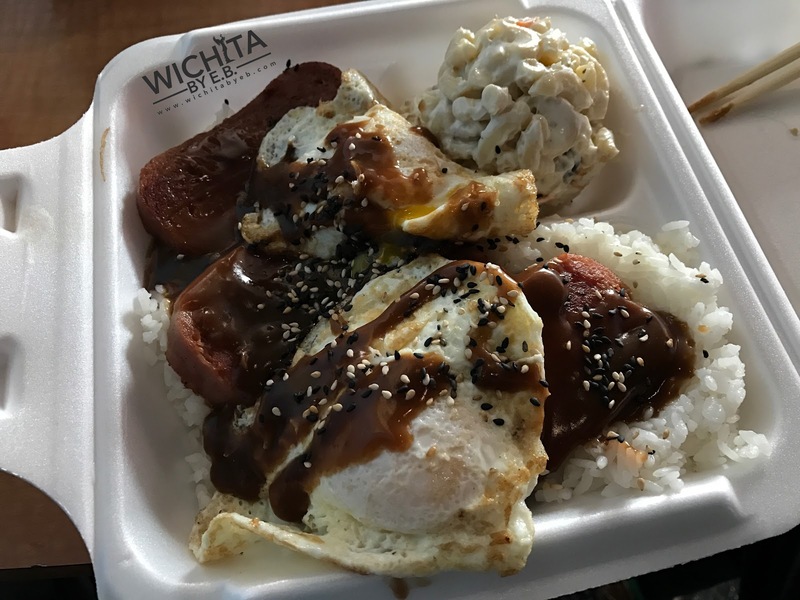 The Spam Loco Moco for those wondering is Spam on a bed of rice with eggs on top drizzled in gravy. It’s served with a side of Macaroni Salad. 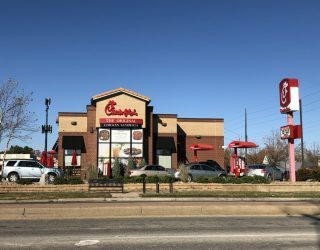 At $7.99, everybody thought it was the best value on the menu. The amount of food included in the meal is nearly intimidating and sure to make you tired after you’re done eating. Speaking of the Macaroni Salad, everyone loved it. It was very good, not your typical loaded with mayo mac salad. And the Lobster Roll? Just like the rest of the meal, it was drool worthy. 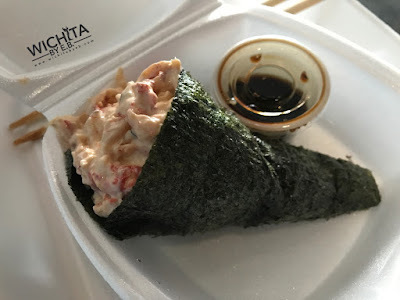 Inside the seaweed paper was big chunks of delicious lobster. Honestly, it may have been the favorite part of the meal for me which is still debatable given all the other options at our table. If you hadn’t guessed it by now, everyone was awwing and oohing at the food. Even customers would walk by our table just throwing questions at us wondering what we had ordered. This was one of our best lunch trips. Not because of the company, I don’t think anybody who went would give me that much credit but because of our food. This is certainly one place we would frequent again. I was wondering if there would be a difference in quality from the food truck to the restaurant and there isn’t. It’s the same wonderful Noble House I’ve come to love. 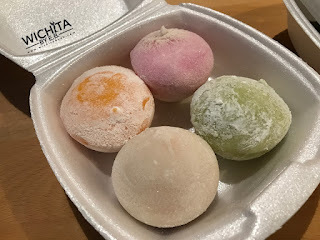 On our way out, I talked my coworkers into trying Mochi Balls which is like little ice cream balls. If you can get over the texture of the rice paper it’s wrapped in, it’s an excellent little dessert. It’s essentially ice cream wrapped in rice paper. My nieces love these things. 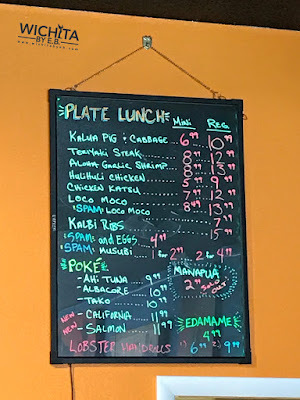 For safe measure, I wanted to introduce another person to Noble House so I brought my brother and we ordered my personal favorite: the poke. he first picture is Tuna Poke and the second is Octopus Poke. 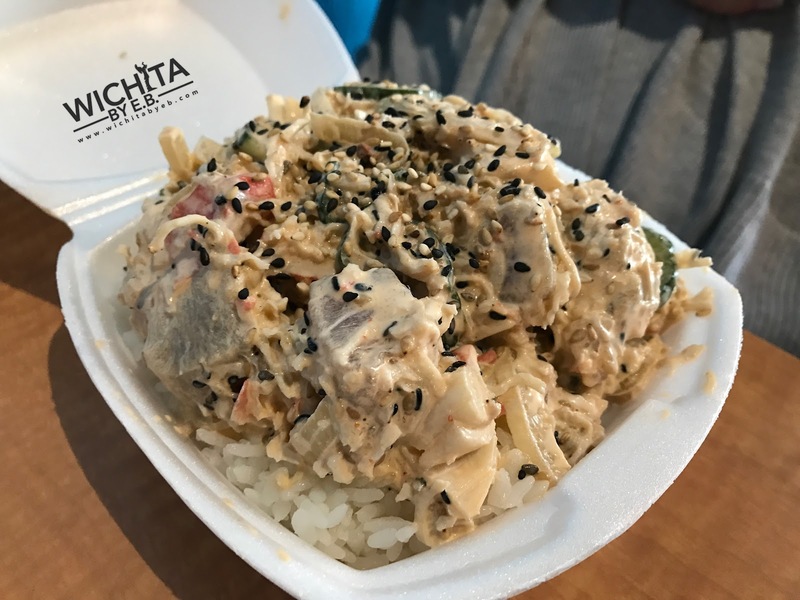 While most poke bowls come in a salad, Noble House’s comes served atop a bed of rice with sliced onions, garlic, sesame seeds and other spices. It’s by far the best Poke in town. Truly amazing and a must try for anyone. Check these guys out as soon as you can. They are a truly unique offering in Wichita that sometimes feels flooded with the same type of food. Nice friendly people. Generous portion size. Excellent food. What else do you need?